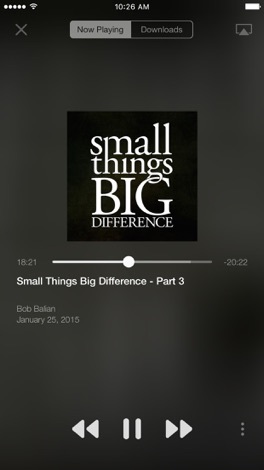 Welcome to the official Bayside Church of Citrus Heights application. 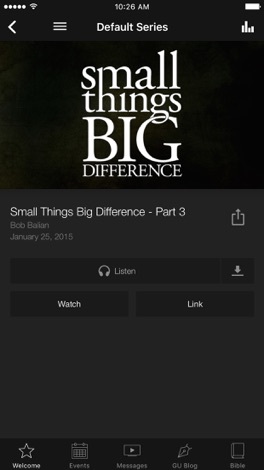 When you download this FREE app, you're one touch away from Pastor Craig Sweeney's weekend messages, delivered straight from the pulpit. There's also tabs for news, events, announcements, and much more so you can stay connected and know what's going on. 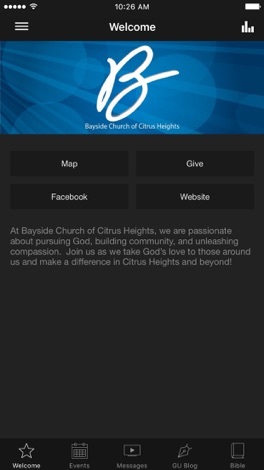 The Bayside Church of Citrus Heights App was created with The Church App by Subsplash.